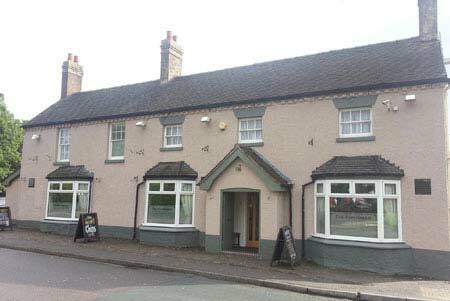 The Huntsman in Cheadle, Staffordshire is a thriving country pub and restaurant which offers a wide variety of Real Ales and excellent quality home-cooked food at affordable prices. The Huntsman was acquired in 2009 by two brothers, Kieran and Conor Devine after standing empty for several months. The pub plays host to three darts teams, a crib team, and a football team. Every Sunday night there is a Pub Quiz, and a folk music session every third Tuesday of the month. 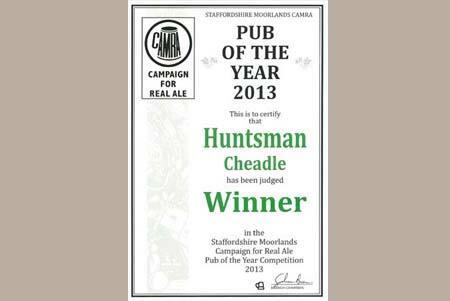 The local branch of CAMRA has been quick to recognise the range and quality of the Real Ales served at The Huntsman. 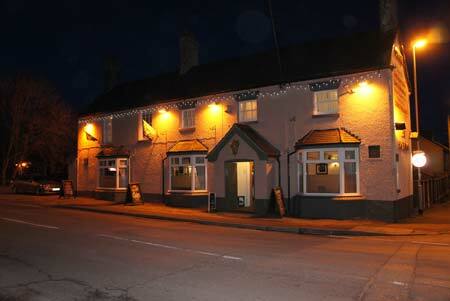 In 2013, the pub won the 'Pub of the Year' competition. CAMRA members can get a 10p discount on every pint of Real Ale with their members card. The Huntsman has recently received a Merit award from CAMRA in recognition for being one of the Top 10 pubs in the Potteries for Real Ale. Both Kieran and Conor originally come from County Dublin but have been in Staffordshire for some years. At The Huntsman, Cheadle you'll not only find great pub food and great beer but a real Irish welcome and great 'craic'.